Feb. 20, 2019 (EcoSophia) -- There are many ways we can talk about the deeper roots of the crisis of our time, setting out from many different vantage points; as Charles Fort pointed out, one measures a circle, beginning anywhere. This week I want to start from that very curious branch of science called “invasion biology,” and more specifically with one of the bêtes noires of that science, the zebra mussel. 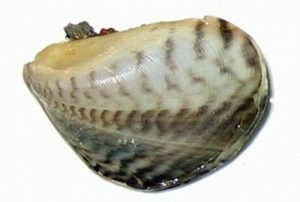 The zebra mussel is a small mollusk native to the Caspian Sea, which gets its colorful name from its equally colorful black and white striped shell. 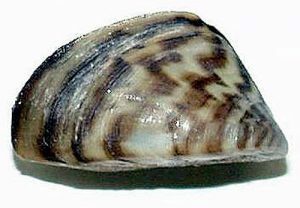 Sometime in 1988 or 1989, a Russian freighter on its way to a port in the Great Lakes dumped some bilge water in Lake St. Claire, and in that water were a few zebra mussels. They promptly settled into their new homes, and did what zebra mussels do, which chiefly involves filtering organic substances out of the water and producing eggs at a prodigious rate. Within a short time, as those eggs duly hatched and the hatchlings looked for homes, the species spread to Lake Erie. 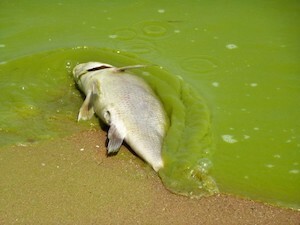 That alone should have made our species blink, because in the late 1960s, after a century and a half of unrestricted pollution from lakeside industries and agricultural runoff, Lake Erie had been declared biologically dead. (Some of my readers may remember media stories from 1967, when the Cuyahoga River, which flows into Lake Erie, caught fire one hot summer day -- yes, it had that much toxic waste in it.) What had once been a beautiful lake full of fish had become a gigantic open sewer, and very little even tried to live there when the zebra mussels arrived, but this didn’t stop the mussels. Within a fairly short time, they had colonized the formerly dead lake en masse, anchoring themselves by the millions to anything that didn’t run away fast enough. What’s more, as they did what zebra mussels do, the lake began to recover. 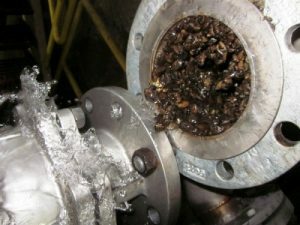 As filter feeders, zebra mussels strain organic material out of the water, eating what they can and packing the rest into biologically inert “pseudofeces” which drop to the bottom and are entombed in the sediment. As they fed, the lake water slowly became clear again, letting light down to the lower levels of the water column and permitting other species to return. Populations of smallmouth bass, walleye pike, and Atlantic salmon reestablished themselves, to the astonishment of local fishermen, and have been increasing steadily ever since. That’s a sign of major importance more generally because these big and tasty fish are the peak predators of the lake’s ecosystem; when they thrive, you know that lower levels of the food web are thriving too. And the human reaction? That’s where things get interesting. The human reaction was all-out panic, followed by frantic attempts to exterminate the zebra mussels, or at least stop them from getting to other badly polluted lakes, of which there are of course no shortage in that region. To be fair, the mussels have certain habits humans find understandably annoying. They like to fasten onto the outflow pipes for industrial waste, sewage, and heated water from nuclear power plants, blocking the pipes solid and forcing factories and utilities to spend huge amounts every year to bore the pipes open again so they can keep on polluting. (Don’t try to tell me that Mother Nature doesn’t have a wicked sense of humor.) They also like to fasten onto any other convenient surface, such as boat hulls, and cleaning those is another hefty expense. If you want to keep on doing business as usual when zebra mussels are present, in other words, it’s going to cost you. There’s a much better alternative. It wasn’t one that most people are willing, or even able, to think about -- but we’ll get to that. There are still frantic attempts to stop the zebra mussels from doing what zebra mussels do, that is to say, cleaning up the rest of the vast network of highly polluted inland waterways in North America. Those attempts aren’t doing much good, not least because zebra mussel eggs and hatchlings have apparently picked up the useful habit of hiding in mud, and thus of hitching a ride from lake to lake on the feet of wading birds. What’s more, another closely related species, the quagga mussel -- yes, it got the name because it has brown and white stripes on its shell -- has shown up more recently to join the cleanup party. Zebra mussels need a lot of phosphorus, which the Great Lakes had in vast and toxic amounts until they got to work. Quagga mussels are less dependent on that particular nutrient, and so as phosphorus levels in the lake water drop toward more normal levels, the zebra mussels are moving on to more polluted pastures, leaving the quagga mussels to finish the job of restoring Lake Erie to a healthy and biologically productive state. You might be wondering, dear reader, why people haven’t looked at the ongoing recovery of Lake Erie, the booming populations of bass and pike and salmon, and the clear blue waters that were vile-smelling pools of greenish-brown effluent not so long ago, and decided to erect a statue and dedicate a holiday to the humble mollusk that made it all possible. That sort of talk isn’t wholly absent these days -- fishermen, especially, are starting to suggest that maybe the zebra mussel ought to be left alone so it can go about cleaning up the mess we made -- but you won’t hear such things mentioned in the big glass and concrete buildings where, securely insulated from the vagaries of nature, the movers and shakers of the government, corporate, and academic worlds hammer out the policies the rest of us have to put up with. No, what you hear there at best are grudging admissions that the zebra mussel is here to stay, and more often, another round of ringing calls to unite against the horrible invasive species that’s cleaning up the Great Lakes for us. The saga of the zebra mussel, furthermore, is one example out of many. All over the world, species are changing their geographical ranges, moving into areas previously unknown to them, and settling down to stay. All over the world, tough, resilient, adaptable generalist species are spreading like wildfire, and fragile species dependent on specific ecological conditions are being elbowed out of the way. All over the world, furthermore, species able to thrive in polluted environments are finding their way to polluted environments, thriving there, and restoring them to ecological balance. If you know anything about evolutionary ecology, you know that all this is normal -- that in times of ecological stress, when climate bands are shifting and ecosystems are in turmoil, this is the way that Mother Nature braces herself for the shock and gets ready for a burst of adaptive evolutionary radiation once things settle down again. The biologists who’ve made invasion biology into a hot scientific field in recent years all learned this when they were undergraduates. Yet these straighforward and uncontroversial points, universally recognized in other contexts, have gone out the window when it comes to environmental change in our own time. Read the current literature on invasive species, in fact, and you’ll very often find normal scientific objectivity discarded in favor of the kind of language more usually found in wartime propaganda: peaceful biotic communities menaced by aggressive invaders, and the rest of it. Why? When people behave in ways that make no sense according to their own stated beliefs and values, it’s always worth checking for hypocrisy, and there’s certainly some of that in invasion biology. David Theodoropoulos’ useful book Invasion Biology: Critique of a Pseudoscience documents in some detail the role played by the pesticide firm Monsanto in funding research into invasive species, which reliably ended up spewing out sales pitches for assorted Monsanto product lines. (This sort of marketing disguised as research is pervasive in science these days.) Still, there’s more to it than that. People who clearly aren’t getting research grants from Monsanto are still getting swept up in a passionate attempt to keep nature from cleaning up our messes and responding constructively to the ecological changes our species has set in motion, and that deserves more attention than it’s received so far. The weird sort of doublethink that surrounds invasive species is far from the only example of the kind. As a Druid who’s written at some length about the future of industrial society, for instance, I quite often field emails and letters from people who’ve read the latest stories from the media about how this or that or the other crisis has doomed the Earth, and want to know what I think about it all. It so happens that almost without exception, the news stories in question take some change currently underway in the biosphere, extrapolate it in a straight line to the point where things break down, and claim on that basis that the end is nigh. It’s the reaction when I point this out, though, that makes me suddenly start thinking about zebra mussels. In a certain number of cases, to be sure, the people who ask me such questions are delighted to be relieved of their fears, and some of these people go on to start asking hard questions about the rigidly linear thinking that underlies so many media scare stories. Yet it’s at least as common, and often more so, for people who ask me for my opinion about the ecological crisis du jour to be irritated by my reaction. Sometimes they argue, which is fine if the argument stays in the realm of facts. Rather more often, though, they start sulking, or even begin yelling insults. How dare I tell them that nature is going to do something to fix the mess we’ve made? And of course that’s exactly the issue. You can see the same thing at work in the weirdly repetitive stupidity with which we use some poison or other to try to annihilate this or that life form that gets in our way, and then get taken by surprise when the life form in question evolves around the poison and keeps doing whatever it is that we don’t want it to do. When that happens, in turn, the only alternative most people seem to be willing or even able to think of is to trot out some even stronger poison. Rinse and repeat, and before long you’ve got bacteria that are resistant to every antibiotic, weeds that shrug off doses of weed killer sufficient to kill the crops farmers are trying to grow, and zebra mussels enthusiastically anchoring to the very dredges that humans are trying to use to get rid of them. The failure of logic in all these cases can be summed up very simply: our culture -- meaning here the collective culture of modern Western industrial society -- is obsessed by the false belief that nature can’t adapt to our actions. The default assumption on the part of most people in industrial society is that only human beings can learn and adapt and change; the whole world of nonhuman existence we sum up in the word “nature” is not permitted to do any of these things. Nature, according to this delusion of ours, is timeless and changeless, lurching through a set of eternally preprogrammed routines that only we can interrupt. Thus the shrieks of outrage when zebra mussels start cleaning up our pollution, or oceanic plankton adapt to the changing acidity of seawater, or a weed shrugs off buckets of Monsanto’s latest carcinogenic weed killer and keeps on photosynthesizing: it’s as though we think Mother Nature isn’t playing fair. The thing that makes this blindness to the obvious so bizarre is that we know better. It’s only those who haven’t gotten around to learning the first thing about biology who have any excuse for thinking that nature is timeless and changeless. Go for a walk in wild land anywhere in North America that isn’t currently covered by glacial ice sheets, and the plants and animals you see were not there a mere 11,000 years ago. That’s how long it’s been since the spectacular burst of global warming at the end of the Younger Dryas stade pushed the continental glaciers of the last ice age into their final collapse and sent invasive species such as oaks and pines and birches into habitats that had been closed to them for a hundred thousand years or so. Go back just a little further and the changes become even more striking. How many people these days remember, for example, that the lion as a species is only about as old as humanity? Like Homo sapiens, Panthera leo began to evolve out of smaller and less effective predators as the global cooling of the Pliocene caused forest to give way to open plains. Like Homo sapiens, Panthera leo adapted fast and became an invasive species, spreading rapidly across the Old World the way that zebra mussels spread into Lake Erie. To judge from cave paintings, early humans knew and feared the cave lions of Ice Age Europe, which were bigger and stronger than African lions, and perfectly willing to treat our ancestors as just another source of meat. When we act as though Mother Nature isn’t playing by the rules, in other words, we’ve forgotten that she makes the rules, and our opinions on the subject don’t matter to her at all; whatever nature does is, after all, natural. Gaia is a tough and feisty old broad; she’s shrugged off cataclysm after cataclysm -- ice ages, nearby supernovas, asteroid impacts, gargantuan volcanic eruptions -- and watched millions upon millions of species emerge, strut their stuff, and go tumbling down into extinction. We like to think of ourselves as something special, and to ourselves and each other, no doubt we are, the way dogs are important to other dogs and zebra mussels to other zebra mussels. To Gaia? Even if the biosphere of the Earth is a conscious entity, as some traditional occult philosophies and some modern mystics insist, there’s no reason whatsoever to think that to her, we’re anything but one species out of millions, no more inherently interesting or important than hagfish or aardvarks or blue-green algae. This is why it’s a mistake to treat the recognition of nature’s immense resilience as though it excuses or justifies the various colossal stupidities that sum up most of our species’ current impact on the biosphere. Nature’s capacity to adapt to our actions does not necessarily work out to our benefit. The same zebra mussels that are scrubbing the waters of Lake Erie clean of our pollutants are also making it disastrously expensive to continue doing a great many things with Lake Erie that human beings think they ought to be able to do. The spread of antibiotic resistance among bacteria, which is already totting up a noticeable body count and seems likely to become quite a bit worse in the years immediately ahead, is another good reminder that the biosphere doesn’t have to care about our well-being. That same insight deserves to be applied more generally. Modern industrial society, that fragile and jerry-rigged contraption currently perched on the edge of history, could be shattered irrevocably by the kind of global shock that has happened thousands of times already in Earth’s long history. Our species, by contrast, is considerably tougher than that. Granted, the resilient ones among us are not to be found among the comfortable classes who are doing most of the yelling about invasive species these days. Outside the sedulously guarded social bubbles where the privileged live out their brittle and pampered lives, though, human beings are tough, omnivorous generalists, right up there with rats and cockroaches in our capacity to survive and thrive in grubby times. Yet it’s basically guaranteed that some future extinction crisis will wipe the last of us off the face of the globe, if we don’t succumb to some less gaudy means of extinction first. The average large vertebrate genus, if I recall correctly, lasts for around ten million years, and the genus Homo has been here for around two million years at last count; if we’ve got average luck, we’ve got a good long run ahead of us, but we could always roll snake-eyes in the evolutionary crapshoot much sooner than that. An extinction crisis severe enough to take us out, though, would leave hundreds of thousands of other species alive, and after the usual post-crisis burst of adaptive evolutionary radiation, the Earth will again be teeming with critters. That is to say, we’re anything but indispensible. Neither our current industrial civilization nor our species has to exist, and it’s a safe bet that both of them will go away in what amounts to an eyeblink or two in geological terms. If we want that eyeblink or two to last a little longer than it otherwise would, ditching the notion that nature is incapable of adapting to our actions is a good first step in that direction. “When we act, we create our own reality,” neoconservative guru Karl Rove is credited as saying to reporter Ron Suskind. “We’re history’s actors, and you, all of you, will be left to just study what we do.” Take that same flagrantly delusional thinking and apply it to the rest of the cosmos, and you’ve got what amounts to the standard attitude toward nature in modern industrial society. Getting past that, and engaging with the world as it is rather than the world as we want it to be, is crucial if we’re going to salvage anything at this point in the turning of history’s wheel. -- or not, and find out the hard way what else she has to say. We’ll talk more about this as the discussion continues. Two notes on not-quite-unrelated issues deserve space here. First, longtime readers of mine will recall the Green Wizards forum at www.greenwizards.com, which was founded in those heady days when peak oil was all over the headlines, and remains a going concern long after most of the more loudly ballyhooed elements of the peak oil scene folded their tents and vanished into the night. Webmaster David Trammel has just completed a thorough upgrade and redesign of the forum, and the discussions are picking up; if you want to have a conversation with other people about how to have a conversation with nature, that’s a first-rate place to do so. Second, I’m delighted to report that the third volume of my epic fantasy with tentacles, The Weird of Hali: Chorazin, is now shipping in paperback and available for immediate purchase in e-book form. A fantasy novel that stands H.P. Lovecraft on his head may seem worlds removed from the serious issues we’ve been discussing, but fiction is a superb tool for talking about difficult issues indirectly, and those who read between the lines may find themselves catching onto some familiar themes. Check it out here.